Expanded workspace for endless creativity! Includes SureStitch™ Stitch Regulator for enhanced stitch creation and control. Enjoy multi-function foot controller capabilities at your fingertips. THE Dream Quilter™ 15 was crafted with all of the high-end long-arm features you desire in a truly affordable quilting machine. It’s a perfect machine to dedicate to THE Dream Fabric Frame for your quilting projects. 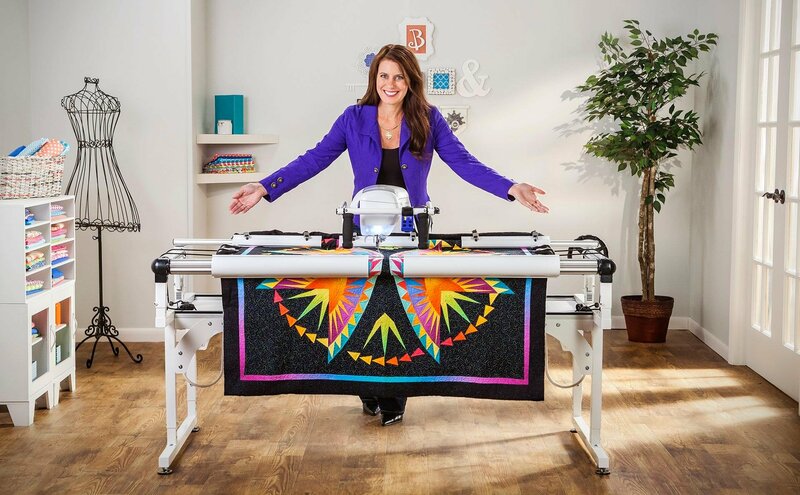 Enjoy the benefits of professional quilting automation in your own home, from pattern to stitching with ease. Brother offers two software options to best suit your quilting automation needs. Choose the software package that is right for you!